Real estate is known as one of the most competitive industries in the world, where inspiration, drive, and a deep consumer understanding are vital to success. With over 15 years in the residential real estate industry Jay brings a wealth of knowledge regarding appraisal, market analysis, capital markets and property marketing to any real estate transaction, and his personal connection to real estate developers, lenders and builders help his clients stay abreast of relevant real estate trends. For 2018, Jay was ranked the #1 Realogics Sotheby's International Realty Broker of the Seattle office, by sales volume. His experience representing managers to C-Level executives for some of the largest companies in the Pacific Northwest places him in the top 1% of sales volume nationwide. Jay is a member of the FORBES Real Estate Council, an invitation-only organization, as well as Sotheby’s International Realty Next Gen Affinity Group, a collection of 40 agents (out of over 21,000 company wide) selected by Julie Leonhardt LaTorre, COO of Sotheby’s International Realty, who lend their voice and insight to assist in shaping the company’s future. 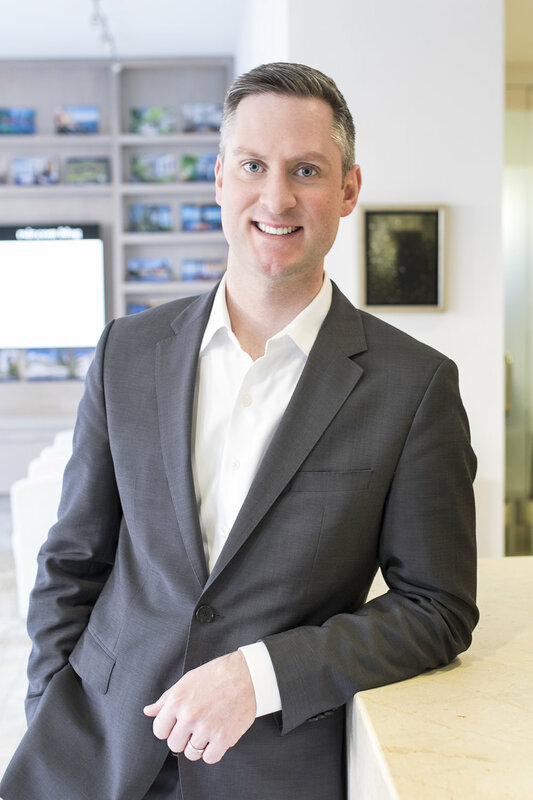 Jay is an active member of Sotheby’s International Realty’s Exceptional Agent Network, a collegiate forum of brokers in all major metro-markets, and select destination markets, who share best practices and local market insight across North America. Prior to joining Realogics Sotheby’s International Realty, Jay worked Ewing & Clark, Seattle’s oldest luxury real estate brokerage firm, and at Coldwell Banker Bain, the #1 Coldwell Banker affiliate worldwide. During his tenure at both firms Jay and his business partner were their offices’ #1 producing brokers. While at Ewing & Clark, Jay was appointed to the Board of Regents of LuxuryRealEstate.com and while at Coldwell Banker, achieved the company’s highest sales designation of International President’s Premier. Jay holds a Masters of Science in Real Estate from the Runstad Center for Real Estate Studies at the University of Washington. He is a fourth-generation native of the Pacific Northwest, third-generation real estate broker, and was born and raised on Seattle’s Eastside. For more than twenty years, Stephanie McMahon has been developing and launching luxury brands across the real estate, travel, and hospitality industries. As an early adopter of lifestyle marketing, her breadth of experience at the helm of numerous sales and marketing teams reveals upscale projects in some of the nation's most coveted "ski and sun" destinations. Stephanie's approach bridges the development process and its priorities and the buyer's sensibilities, true needs and deepest desires. Her methodology, fully integrating sales and marketing efforts, has resulted in record-breaking project launches and accelerated sales velocity for clients including Agassi-Graf Development, Tamarack Resort, Four Seasons, Verge, and Golf Odyssey Elite Hotels, among others. Her passion for real estate stems from the belief that a home is so much more than just a shelter, offering refuge, inspiration, reprieve, and most importantly, memories. It is the nexus of one's lifestyle, encompassing locale, convenience, community, and more, which is why Stephanie is delighted to be involved with The Homes at Fort Lawton as the community's Sales Director. The Pacific Northwest’s largest affiliate within the global real estate network, Realogics Sotheby’s International Realty (RSIR) has branch offices in Downtown Seattle, Madison Park, Bainbridge Island, Kirkland and Issaquah. Our Brokers proudly serve all property types and price points throughout Puget Sound. Honored by 130 awards for sales and marketing excellence, The Puget Sound Business Journal consistently recognizes RSIR among the “Fastest Growing Private Companies” and one of the top ten "Largest Residential Real Estate Companies" in Washington State.